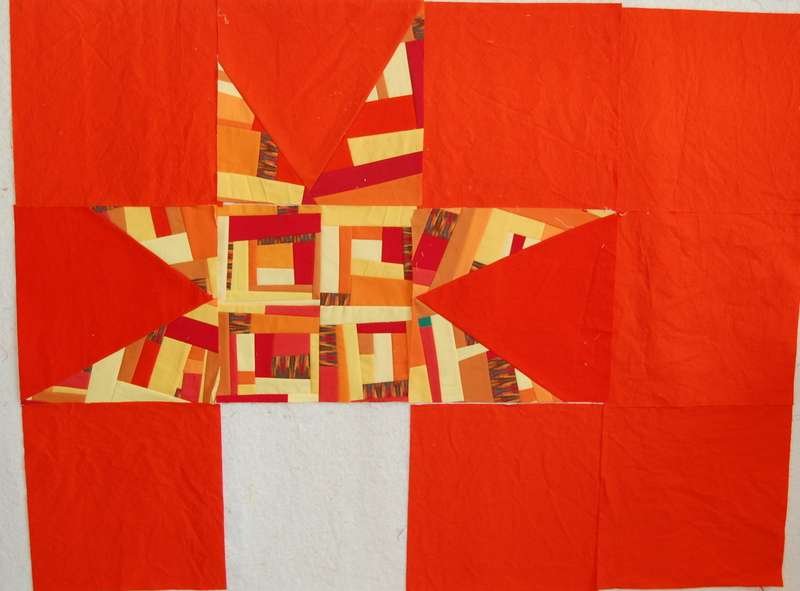 Now these mistakes, are not uncommon for me, the overly impulsive quilter that I am. But as the years go by I’m learning to slow down and be honest with myself as to weather or not I can overlook the mistake or if it is one that will haunt me unless I fix it. Well this one fell into the latter category, so I spent a few minutes with my seam ripper and am now back a few steps! Oh well! I know I’ll be so much happier with it in the end and now I won’t wonder if I would have liked it better if I had just spent the extra 30 minutes fixing it. I shifted a couple of the star point squares around and will have to create a new one, salvaging as much as possible of course! I didn’t like the symmetry that was happening with the points– in case you’re wondering. Small detail to some, but too obvious to me, albeit a little after the fact. I’d like to say I just took it in stride with a smile on my face, but let’s get real, my time is worthy!! 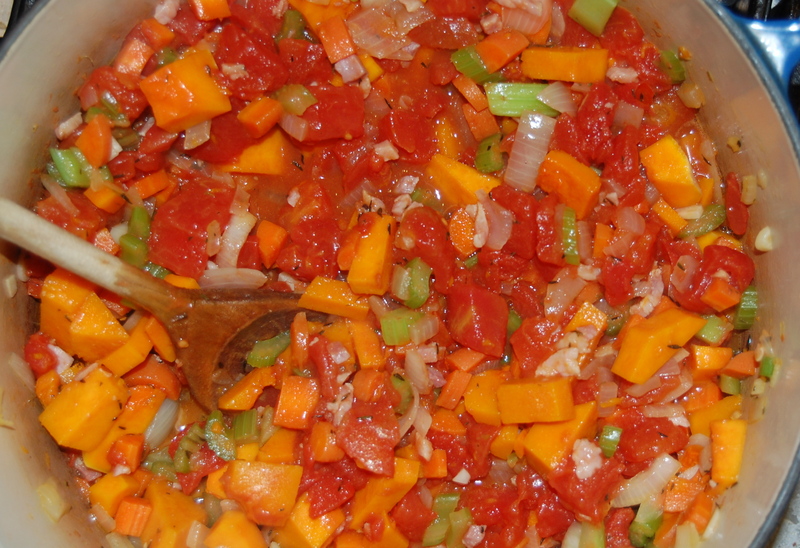 I decided I needed to just walk away from my wall and to go make a giant pot of Minestrone Soup! I can’t help but think that tonight’s dinner was somehow inspired by the colors in my Dreamcatcher Quilt, yes?, and I suppose motivated by my silly mistake on it! Cooking can be so soothing. I feel much better. 🙂 Back to the sewing room tomorrow for another try! I’ve been known to rip.out an entire sock because I noticed.something that didn’t suit me and I’m always happier in the long run. I really like the look of this quilt. And I am with you. I have also learned to slow down and fix things. 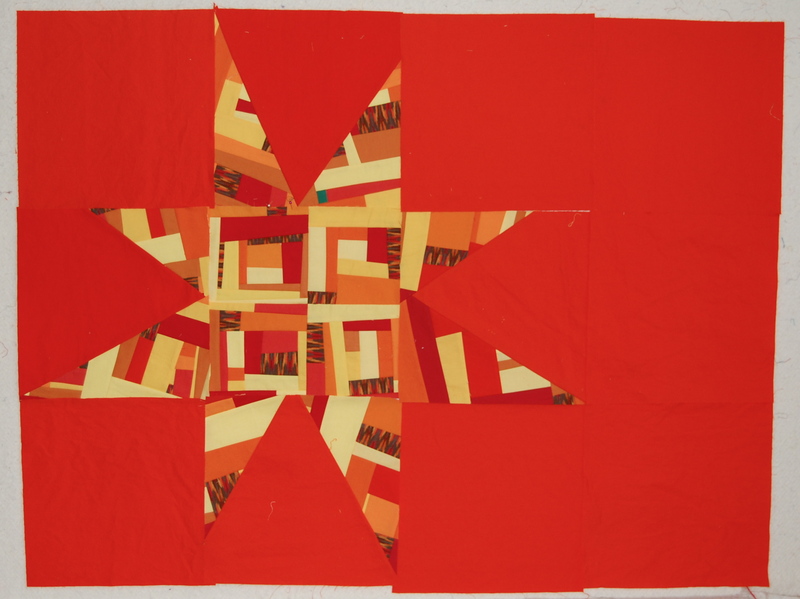 I think it is the realization that I love the process of quilting so there really is no need to rush. That, and I am too much of a perfectionist to leave things as is if I don’t like them. Your blog is lovely.